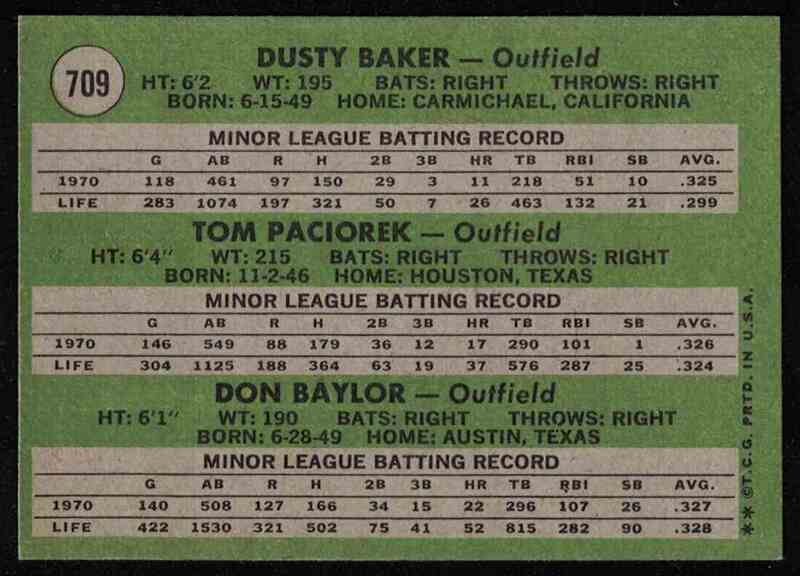 This is a rookie Baseball trading card of Dusty Baker, Tom Paciorek, Don Baylor High Number NM-MT. 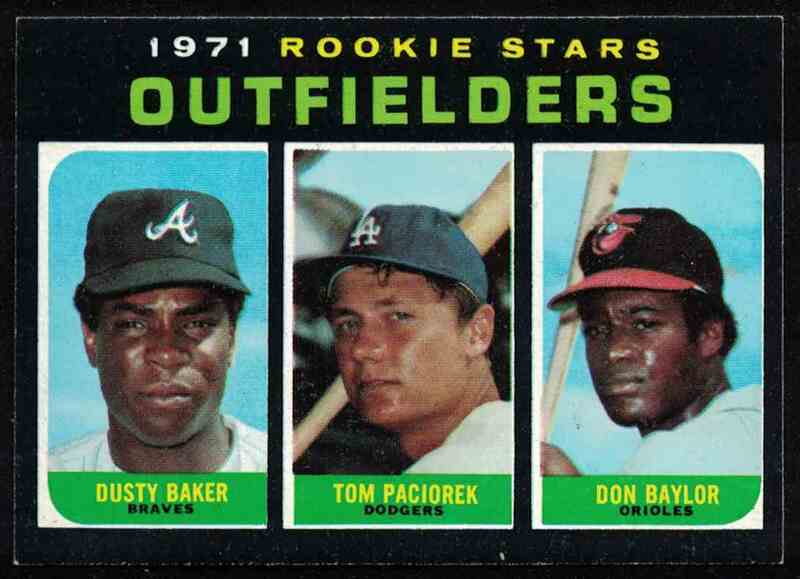 It comes from the 1971 Topps set, card number 709. It is for sale at a price of $ 165.00. If you want to mail me a US Postal Money Order or cash <not recommended> I can accept that. Returns accepted within 30 days. Seller pays the shipping. Satisfaction guaranteed. If there is ever any issue or question, I will work with you to get it resolved.